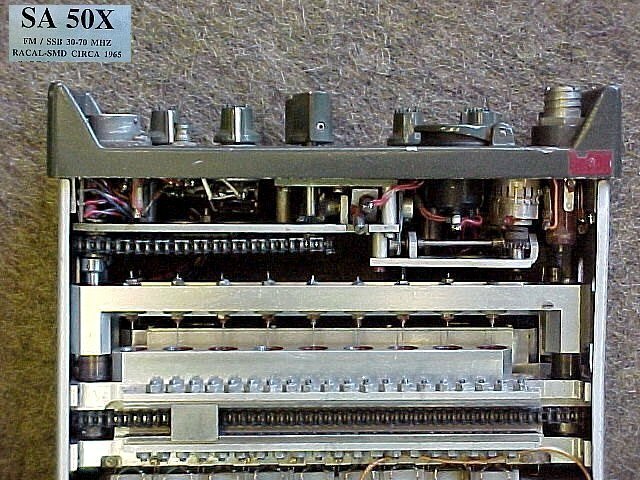 Historical Background: The SA-50X Packset was developed by RACAL-SMD circa 1965. 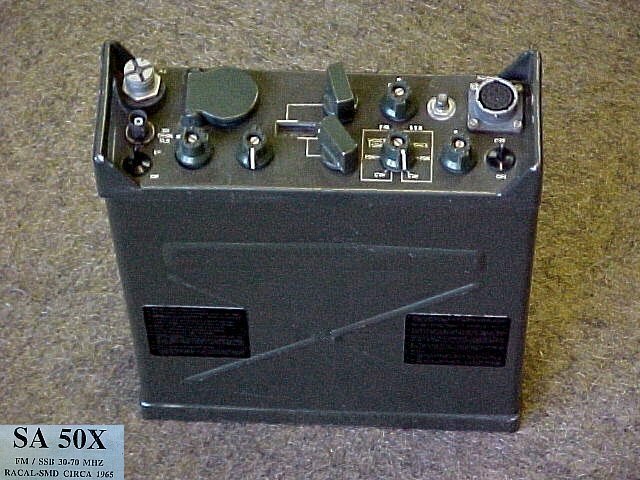 The Packset was 'all solid state', could be operated in FM/SSB modes and was Synthesized in 25 kHz steps over the frequency range 30-70 MHz. The whip antennas were automatically resonated by an internal ATU unit. 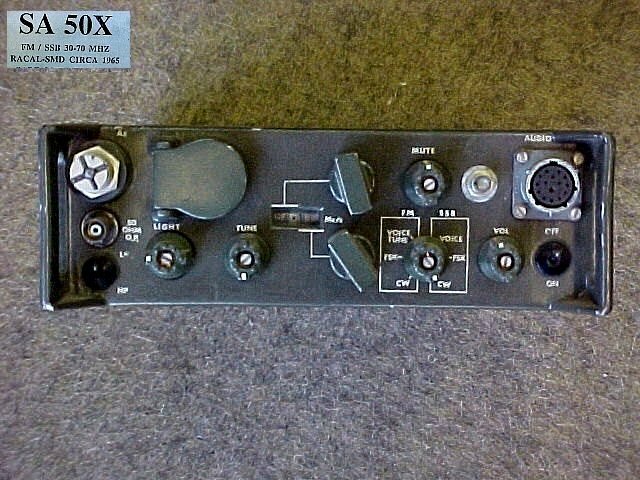 The vehicle station included a 100 Watt "Valve" amplifier and Antenna Tuner Unit (ATU). The ATU featured pre selector filters to enable close proximity working. Features included the use of South African manufactured silicon semiconductors and a small 'very fast heat-up' crystal oscillator oven to ensure frequency stability and synthesizer setting accuracy for VHF SSB operation. 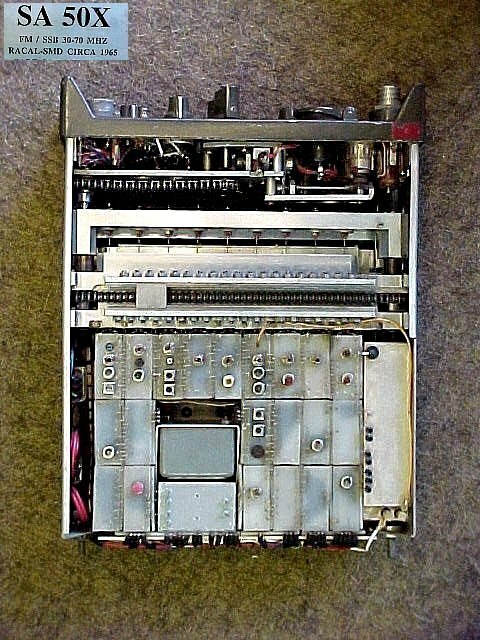 Five prototype were built circa 1965 using the 'wire wrap and modular welded cordwood' method of construction. This form of construction was presumably named after "cordwood masonry" - an old building technique whereby walls are constructed of short logs (legends) laid up width wise in the wall within a special mortar matrix. Cordwood: Wood cut in 4 foot or shorter lengths to be used as fuel. 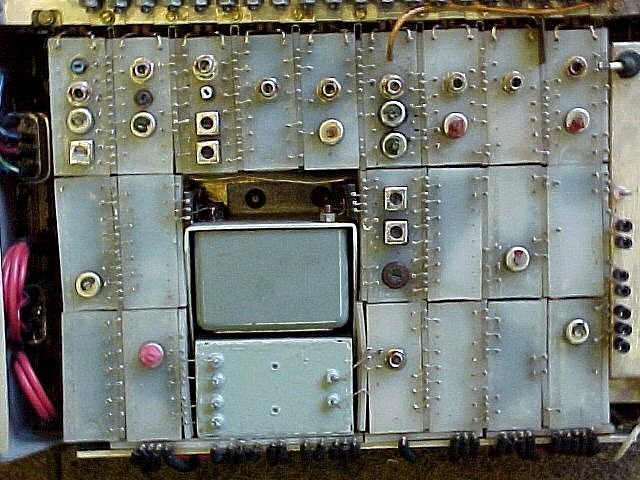 The plan was to replace the cordwood modules with thick film modules in the production units. In the 1960 thick film techniques were still under development. The five prototypes were delivered to the CSIR and evaluated by both the CSIR the SADF.